Hello everyone! God has been doing some amazing things in the lives of our students this past month and I am so excited to share some of the highlights with you all! To start first, I want to tell you about Winter Camp! In my last blog, I mentioned that this was coming up and how big of a deal it is! It is a four day camp at Sky Ranch where all of our students from all of our FOCUS campuses come together to learn about God, grow our relationships with one another and have fun together! And this year, I think it was one of our best camps yet! We had several of our SMU students come, including some new students! The students all learned so much from John Stackhouse's (a professor from Regent College in Canada) lectures and loved having a special question and answer session with him! We also got to spend so much time with one another doing things like playing 9 square and zip lining together! A powerful testimony came from a student that had been struggling in his relationship with God, specifically in trusting God and going to Him this past semester. 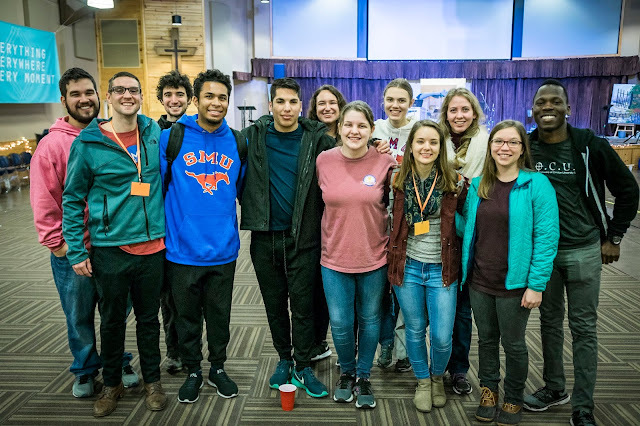 During Winter camp, this student got to spend intimate time with God and left camp with a renewed relationship and a deeper trust in God. Praise Jesus! This is just one of the countless stories of students that got to experience Christ in a unique way at camp. I know that this couldn't have been accomplished without your prayers, so thank you! SMU and TWU students zip lining! 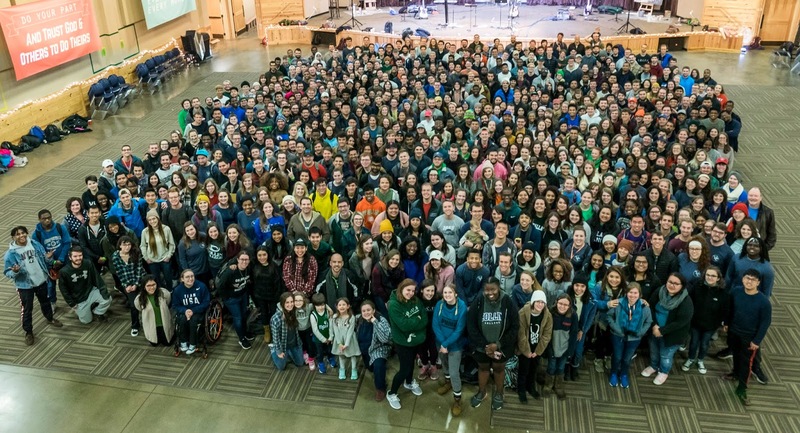 All FOCUS campuses at Winter Camp! We also had our first core this past Monday! I am so excited by the group of students we have coming to core (our small group) this semester. We discussed together how we feel about our current relationship with God and where we would like to grow. We then brainstormed topics for core that would help us meet those goals. Their ideas were awesome and I am so excited to see how God grows us closer to Him through our core and to one another. We also have some new people helping to lead core this semester in the hopes that they can possibly lead next semester. Please join me by praying for our core, that we would be listening to the Holy Spirit and encouraging one another in our walks with God. Our core ideas! So neat! Thank you so much again for your continued prayers and support. It is SUCH an encouragement to me to know that I have a team of support behind me that are praying for our ministry and that are excited about what God is doing on our campuses! I am praying this month that each of you would hear God in a unique way this month and spend time in His loving presence. Wow Amber, this is great. I love the pic of everyone going ziplining. And the ideas for Core are great! So exciting to see people setting goals for their growth!